Seller wants this to be the next boat sold! Nice boat well-appointed cabin has small galley with refrigerator, stand up head, aft berth, teardrop cabin windows, large fish boxes, and bench seat. The boat has been well cared for and several updates in the past couple years. 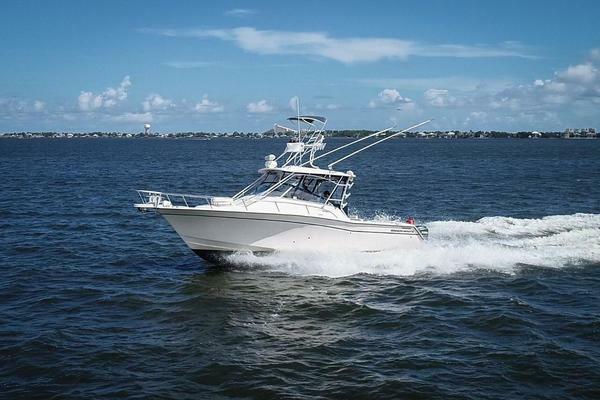 West Florida Yachts would love to guide you through a personal showing of this 30' Grady-White Marlin 300 2001. This yacht for sale is located in Wildwood, New Jersey and priced at $59,000. For a showing please contact us by filling out the form on this page and we will get back to you shortly! 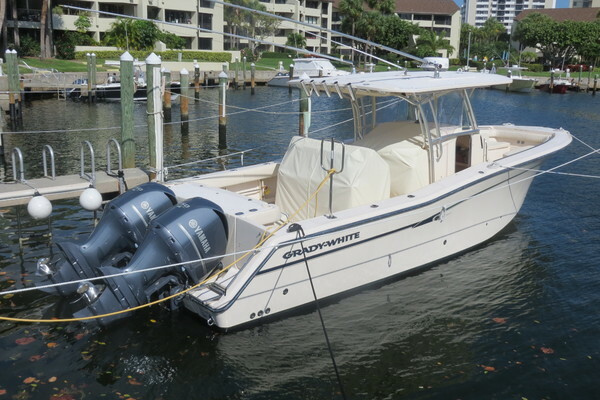 The Grady-White Marlin 300 is a 30-foot walkaround cabin that has a stable, roomy cockpit full of fishing-friendly features including: built-in rod holders, tackle station with sink, insulated bait box and lockable drawers, and a 275-quart insulated fish box. Toe rails and the high interior freeboard provide an extra measure of safety for leaning out to gaff a fish or pick up a ski. The stern of the Marlin 300 has a molded-in bench seat, swim platform with stainless steel ladder, and an 80-quart live well. The cabin has a forward V-berth and an aft double berth, as well as an enclosed head, microwave, refrigerator, stove, and stereo system.